The aim of this course is to provide students with the essential skills and capabilities to design, plan and produce quality fine furniture and other craft products. The course is strongly vocational as students’ time is spent between the fully equipped workshop and the drawing and design studio. Students learn a variety of traditional and modern woodworking processes using the finest quality hardwoods, plastics, metals and other composite materials. As part of the course, students manufacture several articles of furniture which they have custom designed in their own style. Career opportunities include apprenticeships in the woodworking trades, i.e., carpentry, joinery, cabinet making or a career in furniture, product, industrial or sustainable design. 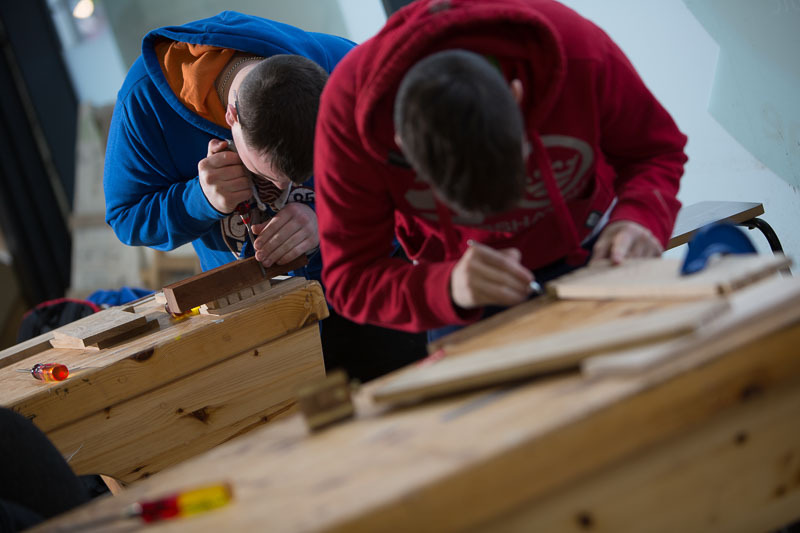 At Cavan Institute: Upon successful completion of this course, you can progress to a QQI level 6 course in Furniture Design (Year 2) or Architectural Technology and Design (Year 2), both available at Cavan Institute.